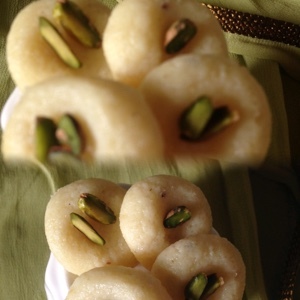 Peda is a traditional Indian recipe and its also known as milk fudge. 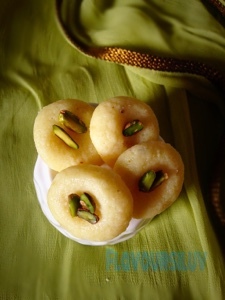 We can make peda in a very easy and quick way by using milk powder or milk maid. The traditional method of preparation of peda is very labour intensive and time taking. But these pedas are most rich, delicious and classic. It has a smooth & silky texture and it just melts in the mouth. This time I tried with paneer. It turned out scrumptious & tasty!! 1. Take milk in a heavy bottomed pan. 2. Allow to boil in medium high. 3. Squeeze lemon and take fresh lemon juice. 4. Keep stirring the milk, until it comes to boil. 5. Now turn the flame to low heat and add lime juice 1 tsp at a time. 6. Keep stirring the milk after each addition. 7. Repeat this until the milk curdles completely. 8. Now you can see the whey water separates from the solid milk particles. 9. Turn off the gas and keep aside for 5 minutes. 10. Place a thick muslin cloth over a strainer, pour the contents in the pan over the strainer. 11. Rinse the strained paneer with fresh water, hang it for half hour and remove water from it. 12. 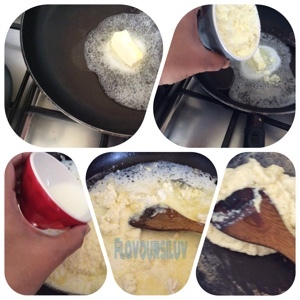 Melt butter in a non stick pan. Add paneer, milk powder and milk into it. Combine. 13. In medium flame, allow the mixture to cook with continuous stirring. Take care the mixture doesn't get burnt in the bottom. 14. Simmer the flame and stir well, until the mixture thickens. 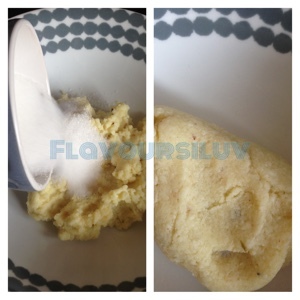 After 10-12 minutes, the mixture starts leaving the sides. 15. Once we get the texture of soft dough, remove from flame. Transfer to a bowl and allow to cool. 16. Once the mixture is slightly warm, add sugar and cardamom powder. 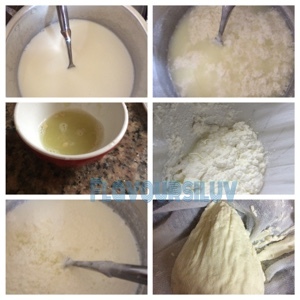 Knead the mixture to smooth dough, make small balls out of it and flatten it. Repeat the same for all pedas. 17. Garnish with sliced pistachios on top, when they're moist and soft. 18. Keep it for sometime and enjoy yummy homemade Milk Pedas. Love the Peda.. Too delicious and lip smacking!!! Tempting clicks. Yum! This looks so tasty! LOVE pistachios. Ohhh its really delicious. Hey Nice Recipe. Can i try this with organic cow milk. My family having Pride of Cows milk From Last 2 year. My kids are used to with this milk. so can i... ?? ?